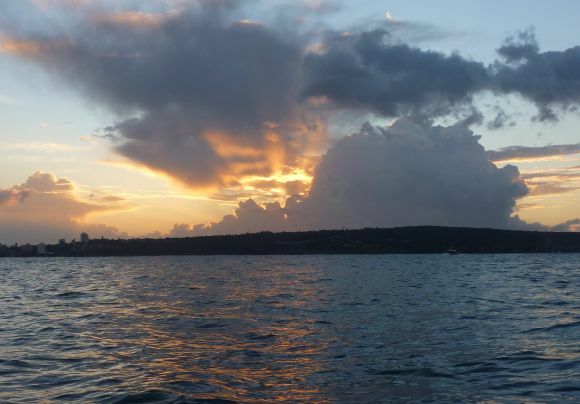 One of the reasons I love paddling Sydney Harbour so much is there is always something cool to see. 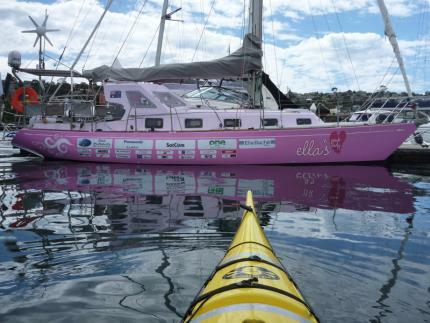 On this particular paddle, it was the bright pink yacht “Ella’s Pink Lady“. If you haven’t heard about this yacht, then let me fill you in. 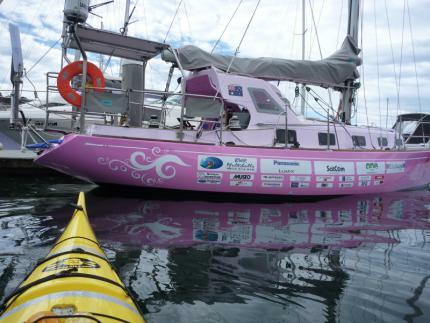 It’s skipper is about to attempt a world-record solo non-stop unassisted sailing journey around the world. And it will be a record because the skipper, Jessica Watson, will be at 16 years old the youngest person to have ever done it. Barely seems any bigger than Fat Paddler's kayak! This attempt is of course not without controversy. 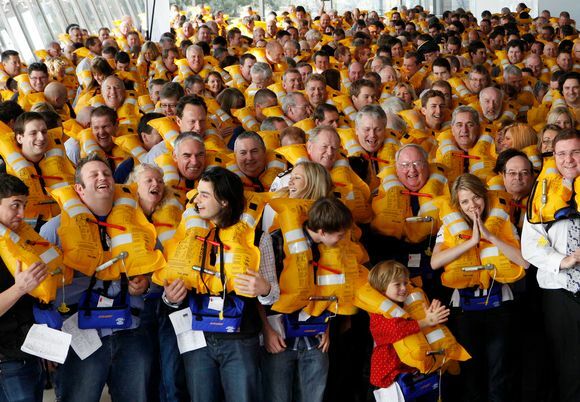 Seasoned sailors have claimed she has a 1 in 3 chance of losing the yacht in rough seas, and a further 1 in 3 chance of losing her life. Many have argued that it is irresponsible to let a 16 year old attempt something of such a risky nature. Furthermore the fact she recently crashed her yacht into the side of a tanker after falling asleep at the helm has fuelled the fire of detractors. I’ve been following along with her blog too, and can’t wait to see her trip get started! Personally, I think her parents are foolish letting her try. But since she is trying, I’m cheering her on! GO GIRL! There’s lots of debate here, it featured in 60 Minutes last night (she left Sydney yesterday) and lots of people were discussing it on the train on the way to work this morning. Regardless, she’s at sea now, so I am wishing her all the best of luck for an exciting but safe journey.